The Bees Wrestling Club had another successful Middle School State Tournament! The Bees had 12 state qualifiers, and left with 5 state place-winners.... including 3 middle school state finalist. Leading the way was a pair of STATE CHAMPIONS. 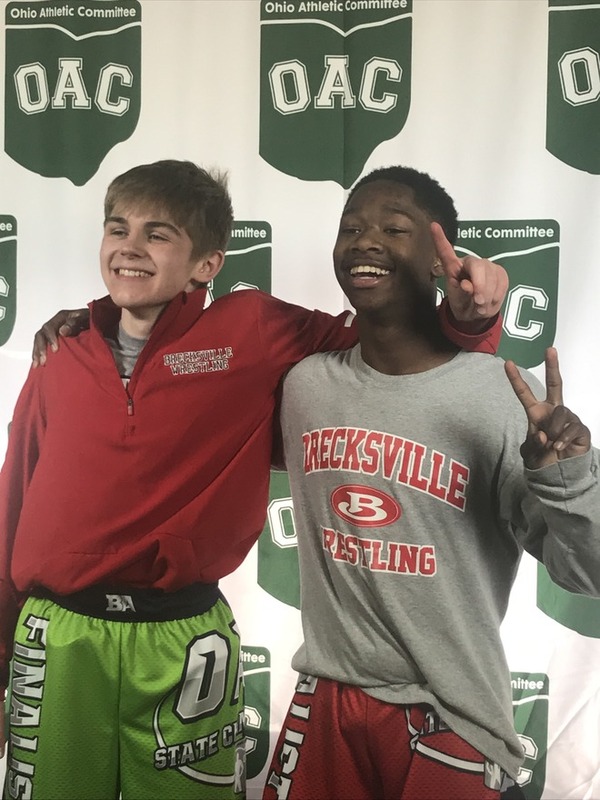 120# Boots Van'Dyke brought home his second middle school state title, while drill partner 126# Kael Voinovich became a middle school state champion as a 7th grader. Also reaching the state finals was 108# eighth grader Kaden Jett. Rounding out the state place-winners were 78# Deuce Cutris (4th Place) and 146# Luke Vanadia (6th Place).